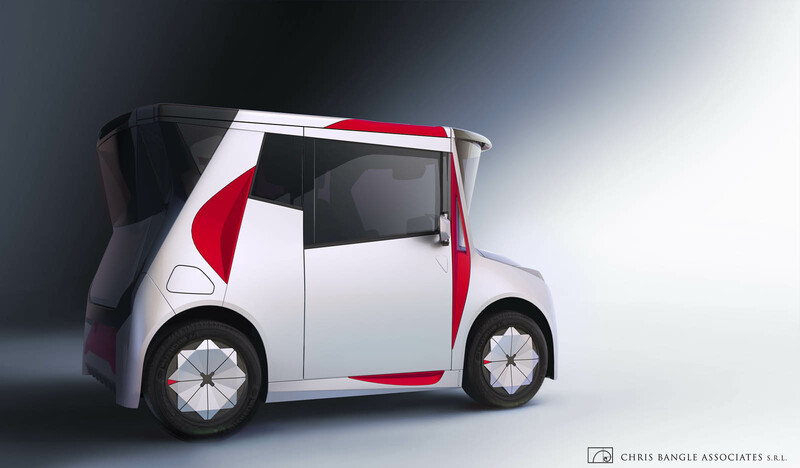 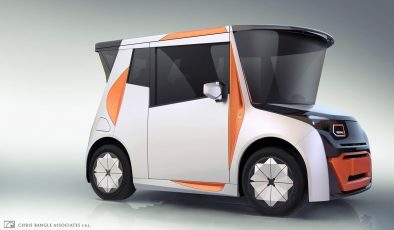 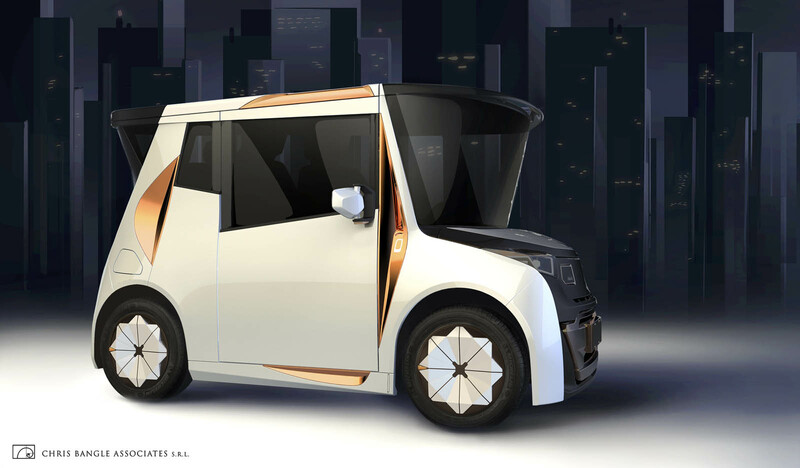 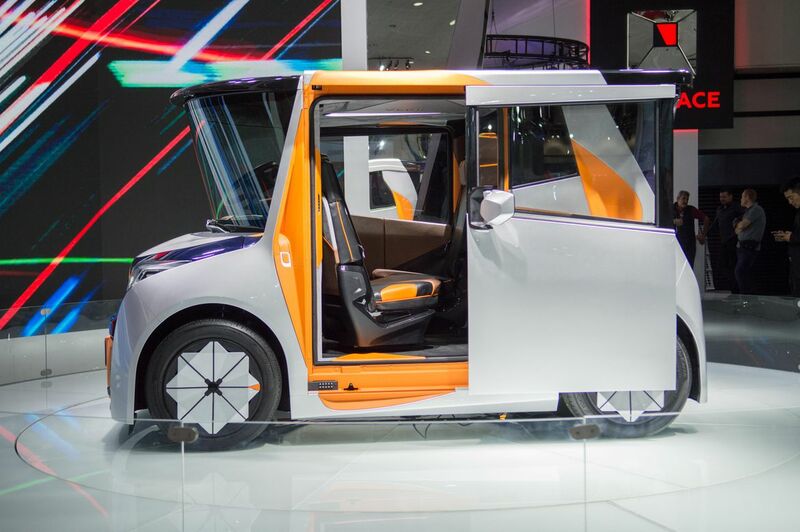 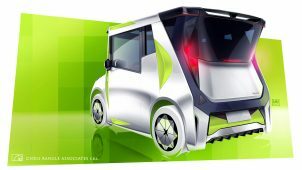 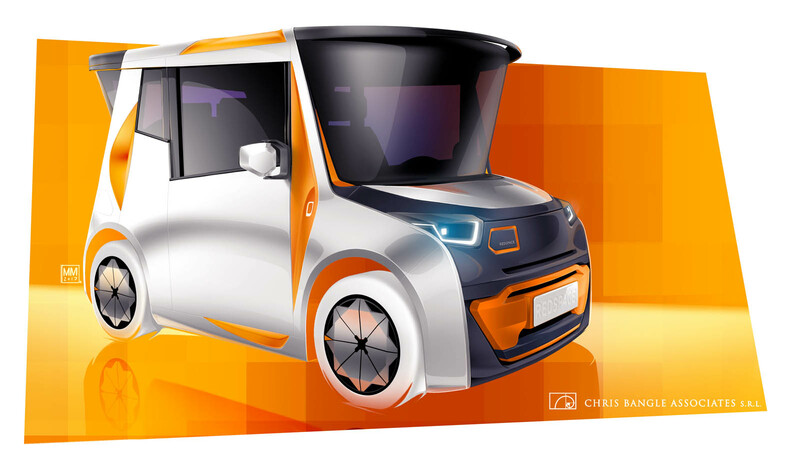 A mini-bus with almost vertical body edges, two sliding doors, five seats, a steering wheel to fold away and electric drive — this is the city car REDS EV from the studio of Chris Bangle, former BMW designer. 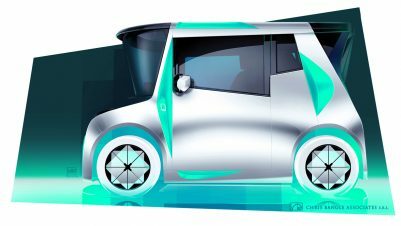 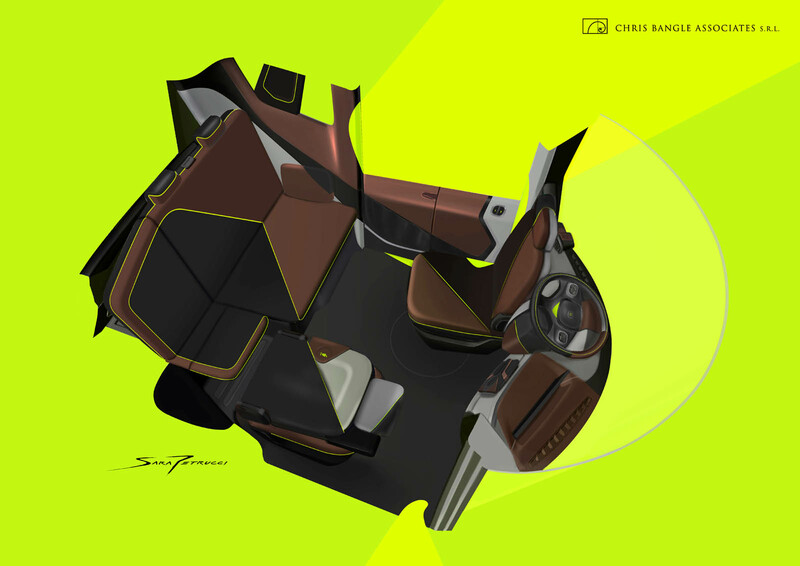 Bangle is back: at the 2017 LA Autoshow he showed what his design project REDS EV, in collaboration with CHTC (China Hi-Tech Group Corporation), thought about urban mobility of the future. 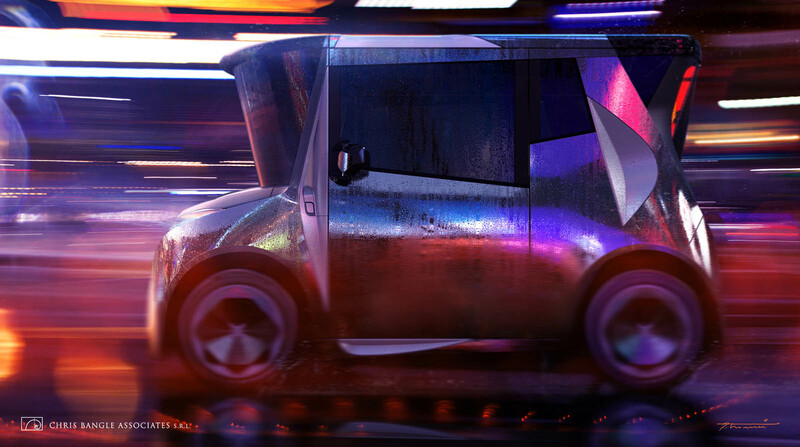 And that fits in with Bangle’s work in the past. 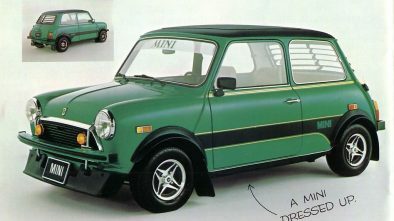 The body edges of the microcar are as flat vertical, as it was the boot lid of the first BMW 7 Series (E65), the windscreen looks like a quarter of a huge drinking glass and is tilted backwards, the A-pillars are squeaky orange. 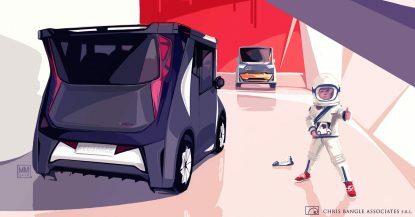 Opening the two sliding electric doors, they take along the edges of the ultra-flat roof on which solar cells generate electricity. That is convenient, because it protects the passengers from rain. 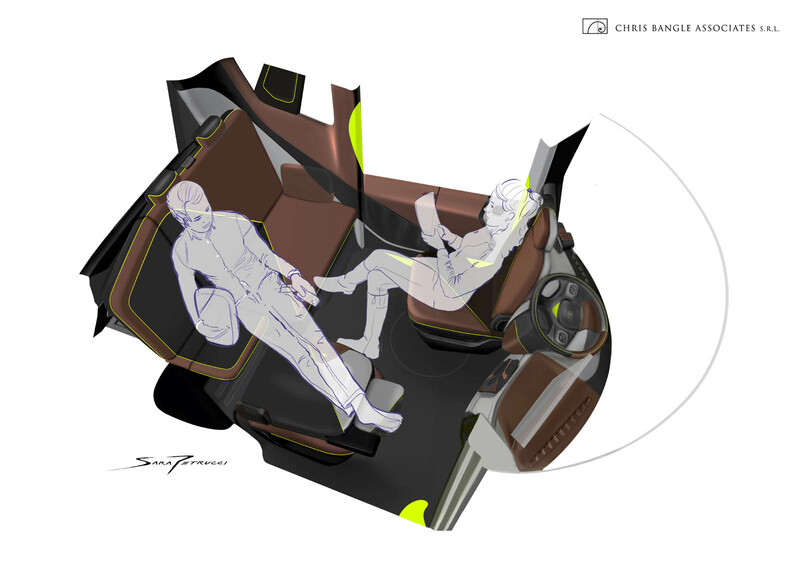 The center-mounted driver’s seat can be moved and turned on the level ground so that it faces the backseat. 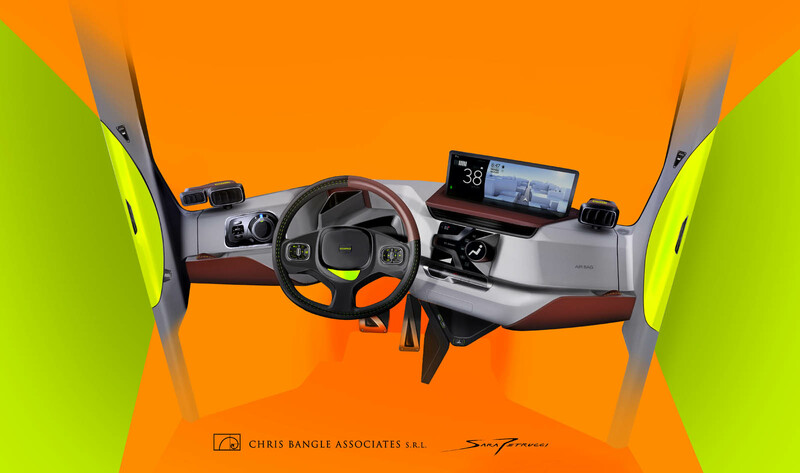 For this purpose, the steering wheel must be folded forward, which looks strange from the outside. 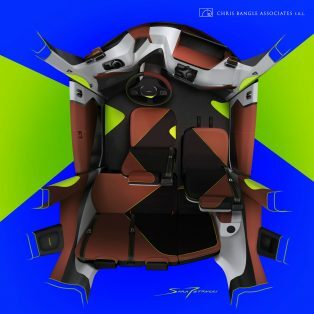 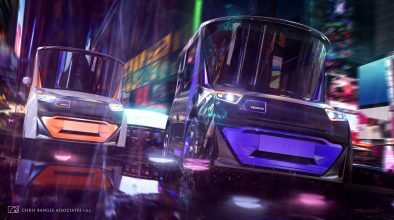 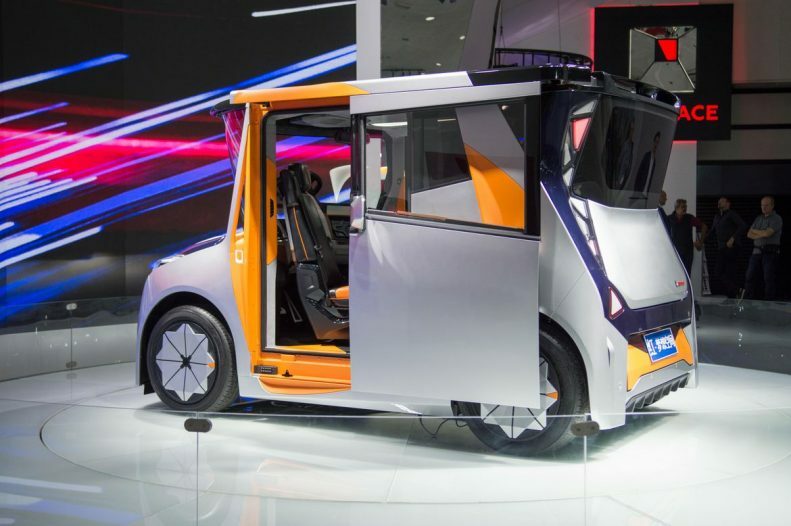 But the variability of the seating arrangement is a preparation for autonomously driving variants of the future and should take into account the use of city cars, which are only 10 percent of their life on the road. 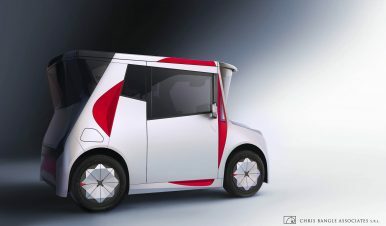 Accordingly, the REDS EV is consistently designed from the inside out. 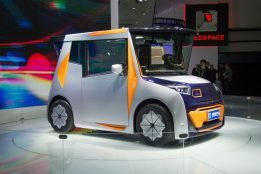 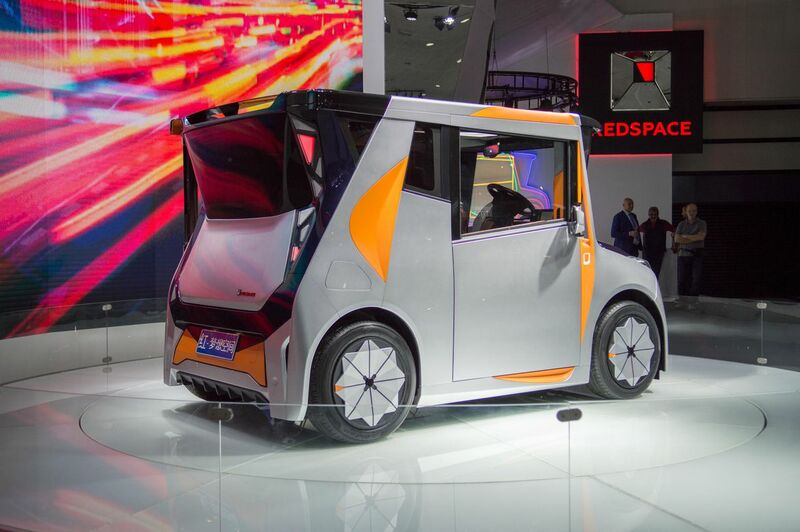 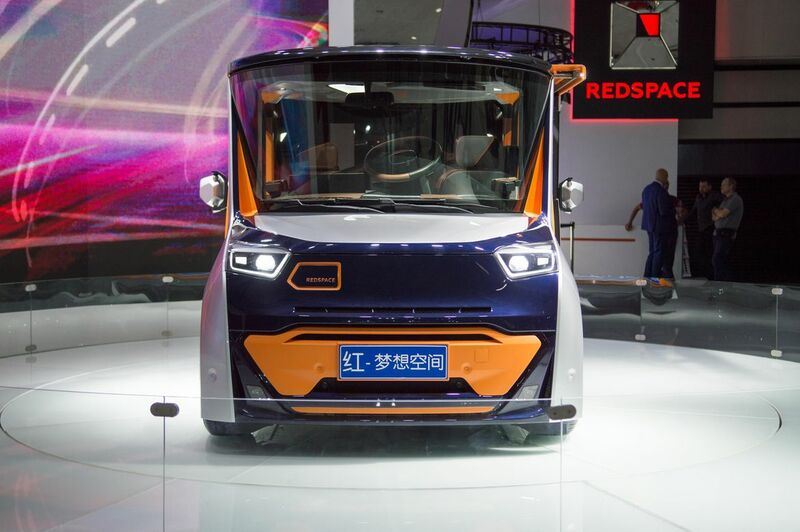 At 2.97 meters in length, the REDS EV is only about 20 inches longer than a Smart. 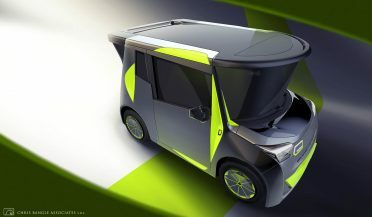 At 1.66 meters wide and 1.76 meters high, the modest wheelbase of 1.44 meters should accommodate up to five people. But only when the vehicle is parked. 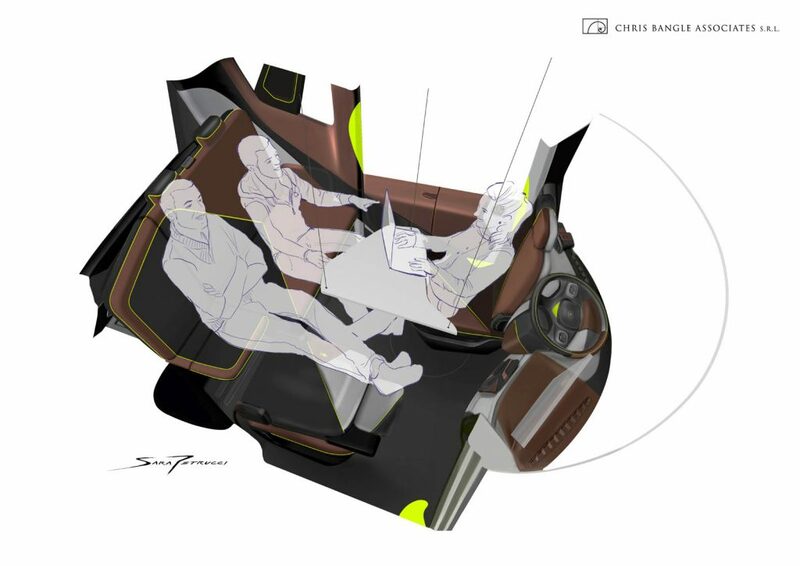 Only four passengers are allowed on board. 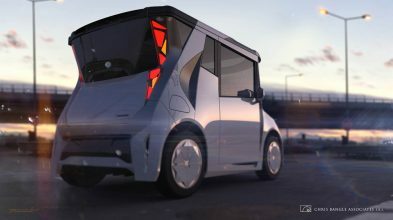 When the REDS EV is stationary and passengers are still on board, they can use the infotainment system because the solar cells generate the power for it. The solar cells charge the large battery in the vehicle floor, which also supplies the electric motor that drives the rear wheels. 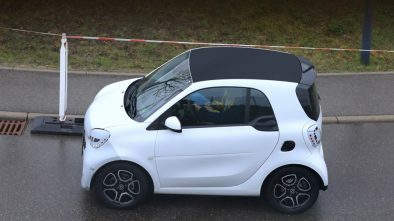 The turning circle should therefore be as small as the Smart, top speed is up to 50 kph. 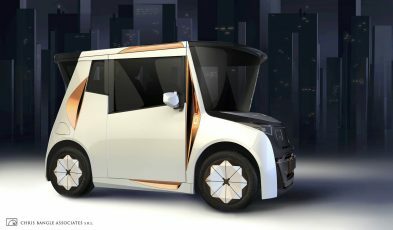 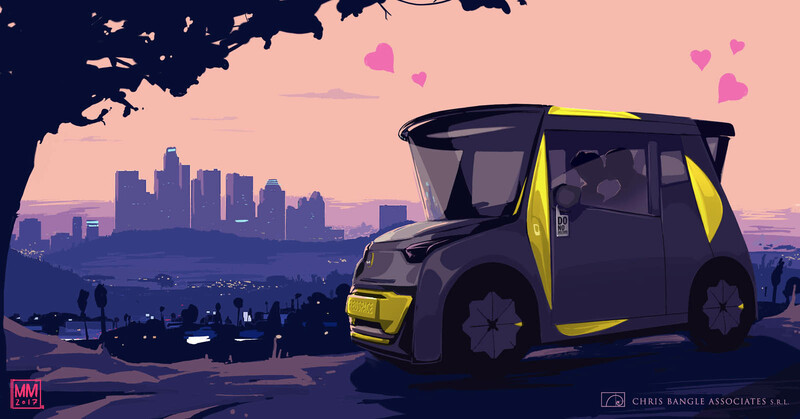 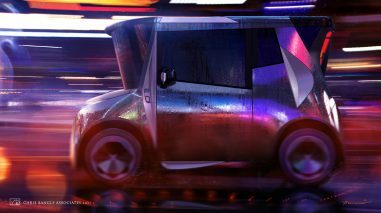 The unconventional electric car in Los Angeles is just a show car, but the designer reiterates that it was developed with the aim of mass production. 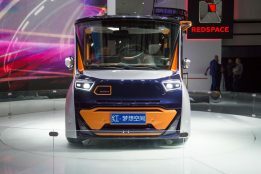 First tests are already planned. 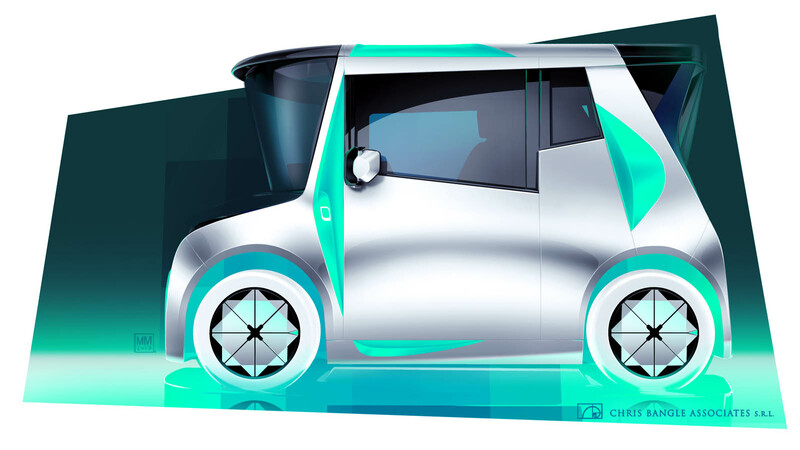 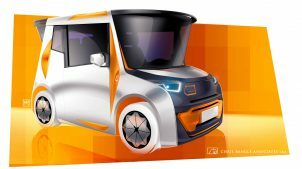 The REDS EV is to be built under the CHTC brand, in a “near future”, as they say.